North Avenue Capital, a specialty finance company, was founded one year ago by Ben Chatraw, who now serves as the company’s chief executive officer, and co-founded with partners with private equity and banking experience. The company serves a niche market of commercial loans that may be too large for the Small Business Association and too small for commercial banks. To accomplish this, North Avenue Capital exclusively offers Business and Industry loans nationwide via the USDA Rural Development program. Chatraw explained that “rural” is a relative term, but for the purposes of the USDA Business and Industry loans, it has a straightforward definition: any town or city with a population of fewer than 50,000 and not adjacent to a major city, utilizing numbers from the 2010 US Census. 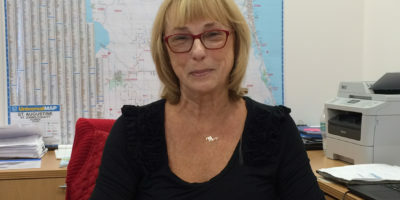 He said there is a map that they use to determine areas that qualify and right now, pretty much everything south of County Road 210 in St. Johns County is considered rural and eligible for USDA loans, which have been in existence for more than 50 years. Chatraw said this is a very efficient loan program for the government and the latest delinquency rates that he has seen are less than 3 percent. The USDA Business and Industry loan guidelines allow for loans to rural area businesses of $1 million or more, with an 80 percent guarantee by the federal government. Businesses must have collateral equal to the value of the loan. Also, the business must have equity, 10 percent for existing businesses or 20 percent for new businesses. Chatraw estimates that 30 percent to 40 percent of North Avenue Capital’s pipeline is start up businesses. There is a breadth of loan types the Business and Industry program will accept — examples of North Avenue Capital clients include a mom-and-pop honey farm in middle Georgia to tenant improvements in a resort to a battery recycler that recently held an initial public offering. North Avenue Capital closed their first loan in Nevada, and now has loans in Florida, Oregon, Texas and Virginia. Operating with four offices across the nation and nine employees, Chatraw estimates that North Avenue Capital needs to double their employees this year. 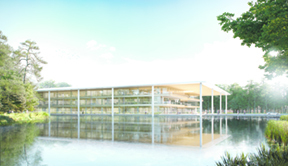 Their strategy is to continue to open offices so that the company can do business with their customers face-to-face. North Avenue Capital’s chief operating officer, Joseph Rowell, has a marketing focus. He said that the company is now trying to take a more active approach to attracting new customers; up until this time, they have been successful with referrals and word of mouth. Chatraw considers himself an entrepreneur, and he finds his creative outlet fulfilled by dealing with the large number of industries that are North Avenue Capital clients. He said he has experience starting up five companies in his career and has always considered himself more of a Main Street guy than a Wall Street guy. The employees of North Avenue Capital represent a variety of backgrounds, including private equity, commercial and community banking, commercial real estate, financial planning, hedge fund management, manufacturing and engineering. Chatraw and Roswell believe that by exclusively offering USDA Business and Industrial loans, they are fulfilling North Avenue Capital’s strategy of being the best at this one thing. “We are in a unique position to have the opportunity to do something we are passionate about, but also be able to make a difference in the community,” Chatraw said. 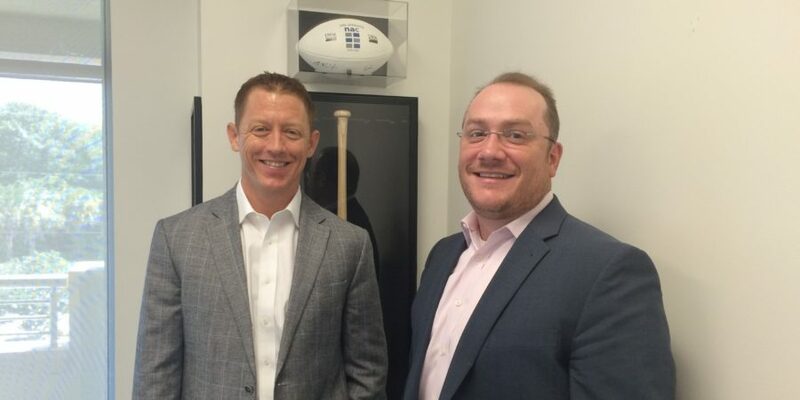 Ben Chatraw and Joseph Rowell in North Avenue Capital’s Ponte Vedra Beach office, in front of the “deal bat” they award employees with each meaningful deal.